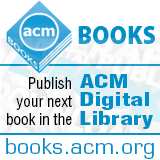 Welcome to the September 21, 2015 edition of ACM TechNews, providing timely information for IT professionals three times a week. An artificial intelligence (AI) software program called GeoSolver (GeoS) can successfully answer SAT questions in the field of geometry at the level of an average 11th grader, thanks to a combination of machine vision and reading and understanding of complete sentences. Still, the program has far to go before it can emulate human intelligence, according to its creators. Developed by researchers at the Allen Institute for Artificial Intelligence and the University of Washington (UW), GeoS separately produces a series of logical equations, which function as components of possible answers, from the text and the diagram in the question. It then measures the accuracy of the equations and attempts to discern whether its interpretation of the diagram and text is sufficiently strong to choose one of the multiple-choice answers. UW researcher Ali Farhadi acknowledges a child's ability to understand the significance of an arrow in the context of a test diagram is beyond the capacity of the most sophisticated AI programs. Discussions in the AI field about programs that can reason in a human-like manner are significant due to the concentration on perception, instead of reasoning, underlying recent AI progress. The Allen Institute team observes machine-learning methods are still coming up short in areas in which humans excel. New York University's Gary Marcus thinks multiple intelligence assessment tests will be necessary to determine AI's progress. A special session held last week at the 18th IEEE International Conference on Intelligence Transportation Systems dealt with intelligent pedestrian traffic and evacuation dynamics, and featured several papers discussing the use of "fuzzy logic" to model crowd behaviors during emergencies. Typical models of crowd behavior have had difficulty simulating the chaotic ways in which crowds behave in such situations, but fuzzy logic enables these models to account for the emotional factors that can influence the ways crowds move in emergency situations. Southwest Jiaotong University's Jian Ma, who co-chaired the special session, has been using fuzzy logic to help understand what caused a stampede last year at a New Year's Eve light show in Shanghai that left 36 people dead. Meanwhile, researchers at the Polytechnic University of Bari in Italy presented a paper covering their use of fuzzy logic to model pedestrian evacuations of the first floor of Bari International Airport. The researchers say that by using fuzzy logic, their model could recreate panic-induced behaviors such as herding and milling. Researchers from Bowie State University presented a paper detailing their efforts to create three-dimensional evacuation simulations of subways, airplanes, and buildings that could be experienced using a virtual reality headset; several of the simulations incorporated fuzzy logic to model evacuation behavior. Several hundred users of Facebook's mobile messaging app late last month were given access to M, the social network's new artificial intelligence-based virtual assistant. M is slightly different and more ambitious than Apple's Siri or Microsoft's Cortana. M's artificial intelligence (AI) is augmented by several dozen human "trainers" who help field queries and requests that are beyond the AI. However, Alex Lebrun, who leads the team working on M, says the trainers are doing more than picking up the slack of M's AI: they are teaching the virtual assistant how to handle requests it initially cannot comprehend. Lebrun says the team chose this approach as a means of harnessing machine learning in a virtual assistant. Because no one has the sort of dataset that would be necessary to train a machine-learning algorithm to be a better virtual assistant, they decided to create such a dataset by employing the trainers. Facebook's researchers say this allows M to comply with complex requests such as sending a user an alert every morning if rain is forecast, or independently planning a weekend away in a different city. Lebrun expects his team will be able to scale up M so it can be generally available, but he says it will still require trainers for quite some time. Cornell Tech security researchers Rafael Pass and Abhi Shelat say it is possible for a survey service or hacker who has access to its servers to reveal links between responses and identifying information. They have built a free survey alternative called Anonize, which they say makes it mathematically impossible for anyone to identify respondents, even with access to Anonize's servers. Their system allows only a chosen group of respondents to submit answers, and only one response per person. Respondents download the Anonize app to their smartphone, and the app generates a secret key derived from their email address that will never leave their device. When a survey administrator creates a survey, the Anonize server generates a PGP-style public key derived from the email addresses of all the authorized respondents, who write their answer in the Anonize app and either submit it from the phone or from a desktop by scanning a quick response code. A response string incorporates the survey's public key and changes with every survey to prevent survey creators from matching users between email lists. The string is created using a method of proving a mathematical statement is true without knowing anything else about it, which enables the server to check for proof someone is authorized without learning anything about their identity. Quantum key distribution (QKD) is one of the emerging areas of study in the effort to create secure computer messaging systems. QKD enables encrypted keys to be sent securely across public domain fiber networks safe from prying snoopers, but they are susceptible to Trojan attacks. A team from Toshiba has devised a new approach to protect the systems from such attacks, which involves modifying the transmitter to weaken the reflected light. The researchers say the reflected light could be rendered too weak to reveal any useful information. Their proposal calls for adding an attenuator, which would reduce the pulse to just one photon; an isolator, which would only permit outgoing light to pass through; and a filter, which would prevent the transfer of any wavelengths not initially specified to be in the channel. The researchers have built and tested a partial system with the new passive Trojan battler and they say it shields against Trojan attacks. They also note it is a relatively inexpensive way to accomplish this task, and the devices can be easily installed. The next step is a prototype that will function as the basis for a product for delivery to customers. Massachusetts Institute of Technology (MIT) professor Philippe Rigollet and colleagues recently completed a study to test how well variants of online ads could drive more traffic as well as reach more viewers. Rigollet says their approach is mathematically guaranteed to yield optimal results, and also addresses the "exploration-versus-exploitation dilemma." He believes the work could have implications for the distribution of tasks in parallel computers. In the technique used by the researchers, three or four batches of tests were generally found to yield results as good as those generated by testing subjects individually. The measure of effectiveness they used was "cumulative regret," or the aggregate difference between the rewards the subjects in the trial received and the rewards they would have received had they all been administered what proved to be the best-performing option. The type of problem Rigollet and his colleagues explored is called a "bandit problem," in which someone is trying to determine which of several slot machines ("one-armed bandits") offers the best rate of return without going broke. The problem requires resolving the exploration-versus-exploitation dilemma. "Surprisingly...these algorithms still find a treatment that is nearly as good as the best single treatment in hindsight," says Google's Moritz Hardt. "This new development holds the promise of making bandit optimization a more robust choice across several application domains." During its recent 2015 Dreamforce conference, Salesforce launched its first Women's Leadership Summit, which was capped off with a hosted panel discussion moderated by "CBS This Morning" anchor Gayle King and featuring YouTube CEO Susan Wojcicki and Jessica Alba, actress and founder of The Honest Company. Much of the conversation dealt with the need to provide working mothers with access to maternity leave. Wojcicki, a mother of five, said only 12 percent of women in the private sector have access to paid maternity leave and 25 percent are back to work 10 days after giving birth. Wojcicki said YouTube has found offering longer maternity leave helps them retain women employees. Google currently offers 18 weeks of paid maternity leave and 12 weeks of paid paternity leave. At the session, Alba announced her company will start offering 16 weeks of paid maternity and paternity leave as of January 2016. Wojcicki and Alba also discussed the barriers keeping women out of technology fields, such as misconceptions about the industry and the need for a more robust pipeline. Both women said they have sent their daughters to coding and computer camps, and agreed more computer science education earlier in life would help level the playing field for women in the industry. University of Wisconsin-Madison (UW-Madison) researchers say they have developed a computer-aided engineering program that assists in optimizing the design of parts for nearly any product. The software is intended to help designers quickly identify component shapes that maintain their structural integrity while using the least amount of material possible. "Design optimization lies at the heart of modern engineering," says UW-Madison professor Krishnan Suresh. "It is critical in reducing cost, reducing material, reducing weight, and increasing quality, and is a driving force behind innovation." The software is available for free as a SolidWorks plug-in called ParetoWorks, and currently is being used by more than 50 universities around the world as well as several industrial corporations. In addition, the software is offered as a cloud-based program over the Web, which already counts more than 500 users. The software is popular because it takes the guesswork out of creating ideal component technology, and does so at incredibly fast speeds, according to Suresh. "We believe our tools are more robust, have wider applicability, and are significantly faster than competing software and human design," he says. Carnegie Mellon University (CMU) and Pittsburgh have teamed up as the founding members of the MetroLab Network, an alliance of 20 metro areas and more than 25 neighboring universities. The initiative seeks to research, develop, and deploy technologies to address challenges facing U.S. urban areas. CMU received a $1-million grant from the MacArthur Foundation to launch the effort. The MetroLab Network is based on earlier joint projects between CMU and Pittsburgh, including a smart traffic signalization project developed by the university's Robotics Institute and tested on Pittsburgh streets, which decreased travel time at the tested intersections by 25 percent. Another joint effort was a CMU College of Engineering project that used Allegheny County's Port Authority light rail vehicles as sensors to monitor track and bridge conditions and identify locations on the track needing attention. In addition, the Open Source Predictive Analytics 311 project, led by CMU's H. John Heinz III College, used 311 call data to create more responsive public-service systems. Cities and universities that participate in the MetroLab Network will be required to "develop a memorandum of understanding between home metro partners, designate representatives responsible for maintaining the collaboration with the MetroLab Network, and host an active set of research, development, and deployment projects." Microsoft Research's Cloud Computing and Storage (CCS) group is developing Prajna, an open source distributed analytics platform designed for building distributed cloud services that utilize big-data analytics. "Prajna can be considered as a set of [software development kits] on top of .Net that can assist a developer to quickly prototype cloud service, and write his/her own mobile apps against the cloud service," according to CCS' Web page. "It also has interactive, in-memory distributed big-data analytical capability similar to [Apache] Spark." Microsoft researchers say although Prajna is a distributed functional programming platform, it goes further than Spark by "enabling multi-cluster distributed programming, running both managed code and unmanaged code, in-memory data sharing across jobs, push data flow, etc." The "functional programming" element of Prajna is associated with the F# .Net functional programming language. "Prajna...offers additional capability to allow programmers to easily build and deploy cloud services, and consume the services in mobile apps, and build distributed application with state [e.g., a distributed in-memory key-value store]," notes the Web posting. Prajna head researcher Jin Li believes the platform has greater flexibility and extensibility than Spark, and could revolutionize the construction of high-performance distributed programs. Brown University researchers, in collaboration with Blackrock Microsystems, are starting to test wireless transmitter prototypes as part of the investigational BrainGate Neural Interface System. Testing is a critical next step toward the use of BrainGate by people with spinal cord injuries and others with tetraplegia or locked-in syndrome, says Brown professor and BrainGate investigator John Simeral. "After years of development led by professor Arto Nurmikko at Brown University, we have created a low-profile, high-bandwidth wireless device, but translating it to use in people requires specific testing," Simeral says. The testing will begin with the support of a new $50,000 grant as part of stage 1 of the Conquer Paralysis Now Challenge, a $10-million grand prize competition to cure paralysis in the next 10 years. The BrainGate system is an investigational assistive neurotechnology that aims to replace or restore lost function and enhance independence for people with paralysis. The initial proofs of concept resulted from the research of Brown professor John Donoghue. As a subject attempts to make arm and hand movements, BrainGate records movement-related activity from tiny electrodes in the surface of the brain and translates that activity into instantaneous commands to move a computer cursor, a prosthetic arm and hand, a wheelchair, or other assistive technology. In an interview, University of Washington professor Pedro Domingos describes a vision in which the world will be reshaped by the pursuit of the ultimate learning machine. "Machine learning is...like the scientific method on steroids: formulate hypotheses, test them against the data, refine them--except computers can do it millions of times faster than humans," Domingos says. He notes machine learning is deeply embedded in algorithms underlying Google search engines, Amazon recommendation systems, Siri's language recognition program, and myriad other everyday technologies and processes. Domingos stresses the importance of ordinary people understanding machine-learning principles, so they can exert control over learning algorithms that make decisions on their behalf. "If you know...how the learning algorithms work, you can make them work for you by deliberately teaching them, by choosing the companies whose machine learning agrees best with you," he says. Domingos cites cancer research as an area in which machine-learning advances can be of significant benefit, as a learning program could predict which drug to administer for which disease by analyzing tumor genome, patient genome, medical history, and more. He also talks about machine learning's revolutionary impact on science by enabling greater understanding of complex phenomena. Domingos calls the Master Algorithm "a single algorithm capable of discovering all knowledge--past, present, and future--from data."